What should you look for in a construction contract? When executing a construction contract with your contractor, there are many things to look for.Your Architect can help negotiate this contract but it is important to look for several key items to protect yourself and your contractor. 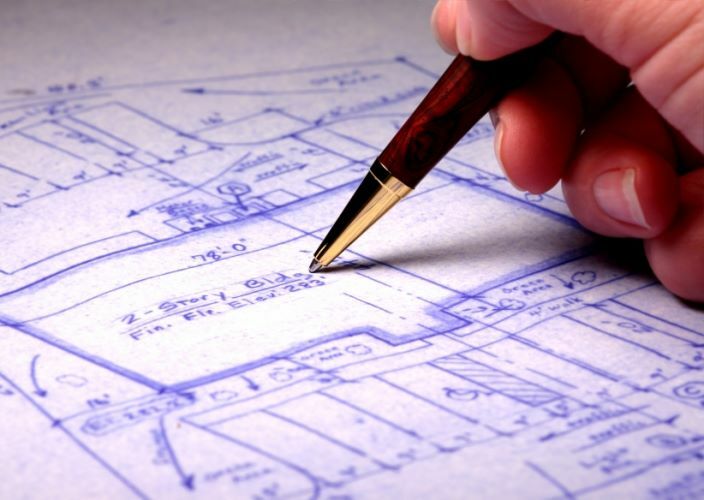 The latest set of construction documents should be included as an defined part of the contract. These plans should be called out in the contract by the issue date on the drawings. If changes are made during the project, these changes should be marked on these documents directly, initialed and dated by both you and the contractor. The contract should clearly define the project start and finish dates with provisions for overruns and possible incentives to the contractor for completing the project early. In addition to start and finish dates, there should also be work day start and finish times. And, what days of the week workers will be at your home should also be defined. The contractor is responsible for getting the work done during normal working hours. There are laws that dictate when construction activities can occur. The contract should clearly state how change orders will be handled. Who is responsible, timeliness, and payment terms should be outlined. Any good contractor should warrant his work for at least one year. Make sure it's in the construction contract. If there is a disagreement, there should be a binding arbitration clause in the contract. This can avoid costly lawyer fees by resolving an issue via arbitration. There should be a statement of how the contract can be canceled, if either the contractor or the owner finds reasonable cause to exit from the contract. All construction contracts should include a statement that the contractor will provide affidavits of final release, final payment or final lien waiver from all subcontractors and suppliers. This will release the owner from responsibility for payment to the sub-contractors. The general contractor should be responsible for payments to the sub-contractors. Protect yourself and your project. Any good contractor should know all of these items and already have them as part of his basic contract template. Consult with your Architect should any questions about your construction contract arise.